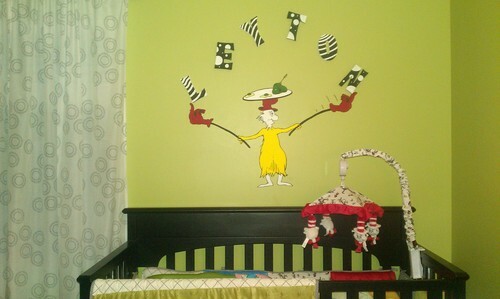 dr. seuss nursery mural. these are the dr seuss murals i did on my nephews nursery wall.. HD Wallpaper and background images in the dr. seuss club tagged: dr seuss cat in the hat horton truffula dr. seuss horton hears a who cartoon. This dr. seuss photo might contain sala de estar, salón, sala, living comedor, and habitación frente.